Engineer and artist Julian Oliver has created a cool art project that hides a cellular tower in an office laser printer. Dubbed the Steal Cell Tower, this art project is a artistic commentary on the nature of surveillance and privacy, but it’s also very cool. 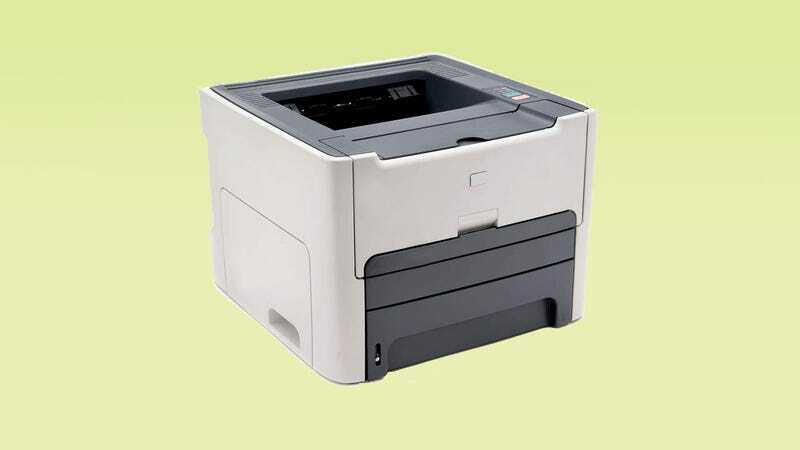 Long story short, Oliver took a HP LaserJet 1320 printer and altered it so that it would become a GSM 900 Base Station. But it gets even cooler/creepier. When phones connect to the tower (which acts like it’s a regular cellular provider), the Steal Cell Tower will send those phones SMS messages written in such a way that they appear to be from someone the recipient knows. It doesn’t even need to know the phone numbers. With each response to these messages, a transcript is printed revealing the captured message sent, alongside the victim’s unique IMSInumber and other identifying information. Every now and again the printer also randomly calls phones in the environment and on answering, Stevie Wonder’s 1984 classic hit I Just Called To Say I Love You is heard. Stevie Wonder is a great music choice, by the way. This project is a continuation of work Oliver started in 2014, when he noticed how cell towers are often hidden (poorly) in every day objects. The Stealth Cell Tower is arguably even more clever than trying to hide a tower in trees or as lamp posts, because it really does fit into the everyday object (the printer), perfectly. Oliver has included the code he used to run on top of his Stealth Cell Tower on his website for anyone who wants to build their own.